Mahindra and Mahindra, the most popular UV manufacturer in the country, will launch the India-spec G4 Ssangyong Rexton in the coming days. 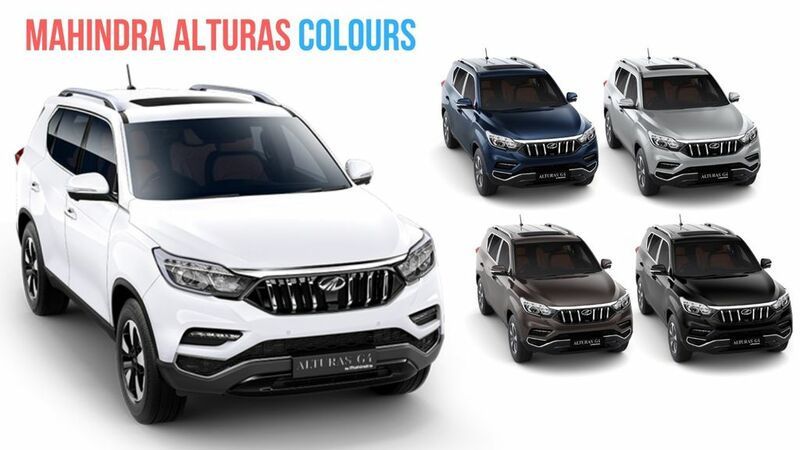 While the new model was earlier speculated to be called as the XUV700 and, more recently, the Inferno, it has now been confirmed that the new model will be called the Mahindra Alturas G4. The Mahindra Alturas G4 will be launched on 24 November and will rival the Toyota Fortuner and the Ford Endeavour. 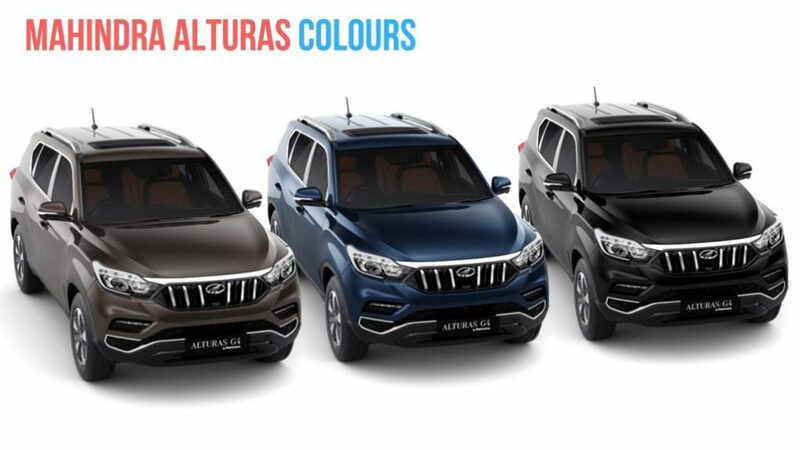 Here’s our Mahindra Alturas G4 vs Toyota Fortuner vs Ford Endeavour comparison review to show the advantages that the new flagship SUV from M&M enjoys over the other two popular large SUVs. 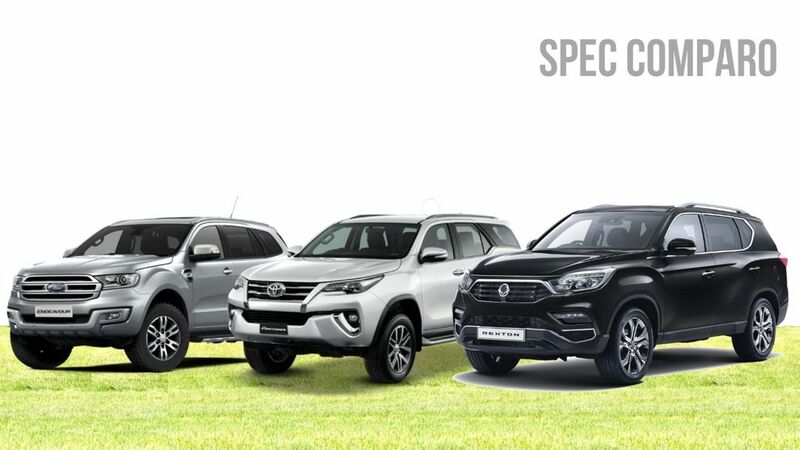 We have always felt that Toyota Kirloskar Motor is known to price its cars in a manner that they end up being slightly more expensive than their immediate rivals. Fortunately, the same isn’t true with Mahindra. Going by the prices of the Marazzo, which is on sale at a starting price of Rs 9.99 lakh and is much cheaper than the Toyota Innova Crysta, the Alturas is sure to be much more affordable than the Fortuner. Also, while we have always thought of the Ford Endeavour to be a well-priced product, the Mahindra Alturas should change the entire scenario in this segment. That said, one needs to consider that the Mahindra Alturas G4 won’t be sold at throwaway prices. It will be brought to India via CKD route and hence, pricing it too aggressively, like in the case of the Marazzo, is going to be tough for Mahindra and Mahindra. Still, in all probability, the new SUV will cost at least 3 lakh rupees lesser than the Fortuner and about 2 lakh rupees lower than the Endeavour. Our reliable sources inform us that the prices of the Alturas will start at Rs 23.90 lakh (ex-showroom), which is in line with our pricing expectations for the new model. Hence, all those SUV buyers who have been on a budget can easily pick up the Alturas over the Endeavour or the Fortuner. They can easily purchase a 4WD-equipped fully-loaded model of the new Mahindra SUV over the base trims of the Fortuner and the Endeavour. With this, the new M&M flagship becomes the winner of this part of our Mahindra Alturas vs Toyota Fortuner vs Ford Endeavour comparison. The specifications of the Mahindra Alturas G4 (Y400) stand at par with those of the Toyota Fortuner and the Ford Endeavour. However, the new Mahindra SUV will be available in only a single engine variant, while both its rivals are on sale with multiple engine options. While the Fortuner has a 2.8-litre turbo-diesel engine, the Alturas has a diesel motor of 2.2-litre capacity only. But in spite of the smaller size, it produces a maximum power of 183 bhp, which is more than the 177 bhp produced by the Fortuner. The new Mahindra SUV’s engine produces 420 Nm of peak torque, which is the same as that of the Fortuner’s manual transmission variant. The automatic transmission offers 450 Nm. However, one advantage that the Fortuner has over the Alturas is that it’s available in a petrol engine. The 2.7-litre petrol motor offers 166 bhp and 245 Nm. The Fortuner is on sale with a 6-speed manual and automatic transmission but the Alturas will be available with a Mercedes-sources 7-speed automatic unit only. Both the SUVs are equipped with 4×4. The Ford Endeavour is available with 2.2-litre and 3.2-litre diesel engines. While there is no petrol engine option on offer, the two diesel engines let the buyers decide between a high fuel mileage and a high power. Both the engine variants of the Endy have a 7-speed automatic transmission. The 2.2-litre engine variant of the American SUV has a maximum power of 158 bhp. In comparison, the Alturas has a peak power of 183 bhp, which is only 12 bhp lower than what the Endeavour’s 3.2-litre engine offers. The new Mahindra SUV has 420 Nm of peak torque, which is significantly higher than the 385 Nm offered by the Endeavour’s 2.2-litre engine but 50 Nm lower than the 3.2-litre motor. The very popular Toyota Fortuner has an ARAI-rated fuel mileage of 14.24 kmpl for the diesel variant. The petrol version offers 10.01 kmpl. The Mahindra Alturas, which features a smaller engine, will get pretty much the same fuel economy as that of the Ssangyong Rexton G4 sold abroad. Hence, you can safely expect it to return 12.2 kmpl. The 2.2-lite variant of the Ford Endeavour has an ARAI mileage of 12.62 kmpl while the 3.2-litre version offers only 10.91 kmpl. In comparison, the Alturas G4 is more fuel efficient than both its rivals. Hence, it’s the clear winner of this part of our Mahindra Alturas vs Toyota Fortuner vs Ford Endeavour comparison. As can be seen in the table above, the Mahindra Alturas G4 is longer and wider than the Fortuner. The Endeavour, on the other hand, is slightly longer than the Alturas but is a 100 mm narrower. The new Mahindra SUV is slightly shorter than its rivals but has a longer wheelbase. From this, it’s clear that the Alturas G4 will be more spacious than both its rivals. 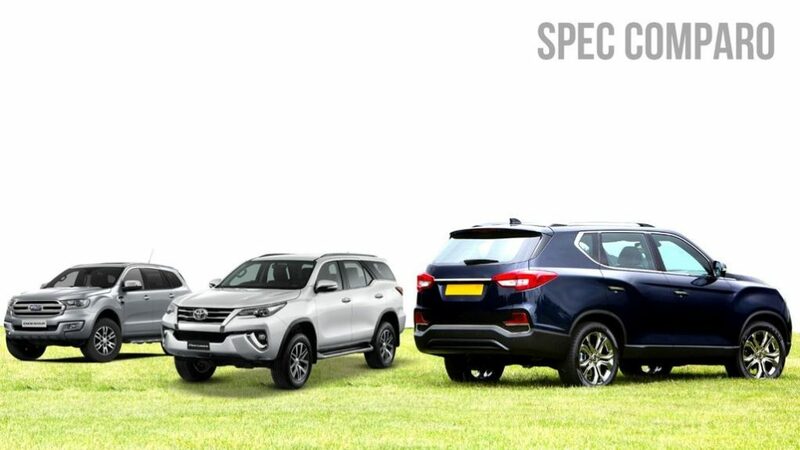 Price – The Mahindra Alturas G4 will be a clear winner in this aspect of our Mahindra Alturas vs Toyota Fortuner vs Ford Endeavour comparison. Specs – In spite of having a smaller engine, the Alturas G4 offers decent specs, which should work in its favour. While it’s not as powerful as the Endeavour 3.2, it’s isn’t much behind either. Mileage – Again, the new Mahindra SUV is a clear winner of this part of our Mahindra Alturas vs Toyota Fortuner vs Ford Endeavour comparison. Dimensions – While the new Mahindra offering doesn’t have a huge edge over its rivals, its longer wheelbase should make it slightly more spacious. From our Mahindra Alturas vs Toyota Fortuner vs Ford Endeavour comparison here, it gets clear that the new flagship SUV from M&M has a great chance of leaving a dent in the sales of the two most popular large SUVs on sale in India.